Hold Me Tight® retreats are based upon the research of Emotionally Focused Couples Therapy. Denver Hold Me Tight® Couples Retreats are open to couples in all stages of relationship and are LGBT welcoming and affirming. 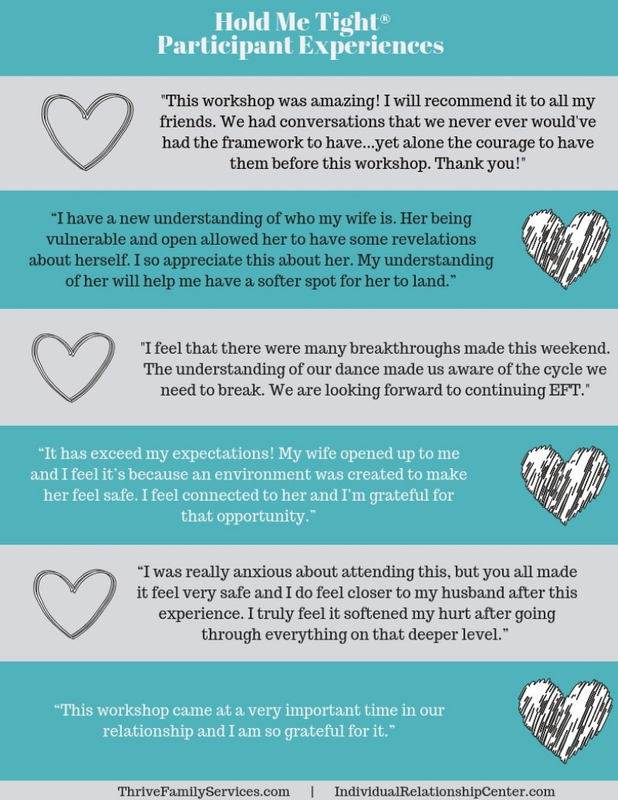 For over 10 years, tens of thousands of couples world-wide have transformed their relationships with the Hold Me Tight ® workshop. Why not yours? 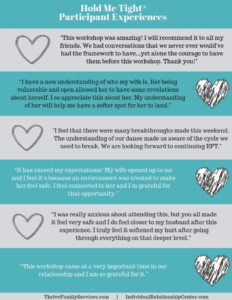 The Hold Me Tight® Couples Retreat Workshops are offered quarterly. Contact us with dates that would work for you!